Effectively protects against fungal infections and the nails and skin regains their elasticity and beauty. 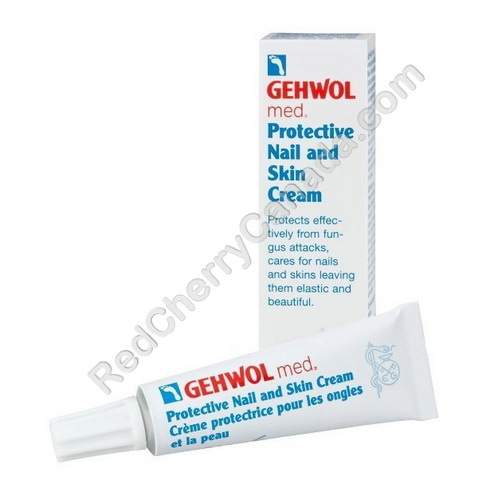 Gehwol med Protective Nail and Skin Cream contains precious substances, such as wheat germ oil, panthenol and bisabolene, for nail and skin care. The proven active substance clotrimazole helps to prevent fungal infections. Fragile and brittle nails regain their elasticity and beauty. The nails receive a natural silky shine. Apply regularly 1 - 2 times daily and massage in for a few minutes until you can feel only a slight residue left.